For the kitchen remodel we’re doing, we had to order new appliances. I’ve already talked about my range, and range hood. In addition to those appliances, we needed a wall oven, a fridge, and a pair of microwaves. We had to buy a new dishwasher when we bought the house but we bought it knowing we would be remodeling so we knew we’d be reusing it. We bought our dishwasher when we first moved into the house. The one that came with the house was probably older than I am, and didn’t actually wash dishes. Dishwashers come in two general styles, they either have a filter or a garbage disposal built in. I was adamant that I wanted a garbage disposal, I hate the idea of cleaning a filter and I like that a garbage disposal lets me be lazy about pre-rinsing. This ruled out the european models, Bosch, Miele, and Asko. They’re all really nice machines but no disposal means no choice. For me this was an easy choice, I’ve purchased KitchenAid dishwashers twice before for my rental house and have never had any problems with them. The model I purchased has three shelves. The top shelf is a silverware shelf. This frees up space in the bottom shelf since you don’t need a silverware tray (but it comes with one anyways). 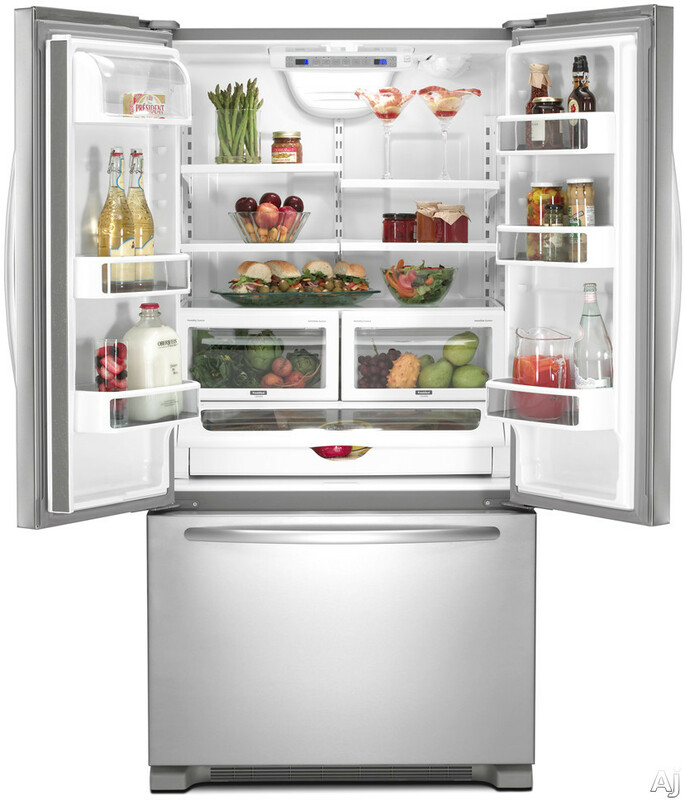 Refrigerators come in three different styles: Standard depth, Counter Depth and Built-in. Standard depth fridges are the type most people have, they are deeper than counters which means if they are against a wall with counters they will stick out. Counter depth are just that, fridges that are designed to be flush with a standard 24″ kitchen counter. The last class are built-in fridges. These refrigerators are attached to the walls and are often covered with cabinet panels to blend in. We ruled out built-in fridges right away, they’re extremely expensive, 3x the cost of the other types. In short, too rich for our blood. We also ruled out the standard depth fridges because of our floor plan, the fridge is going to be in line with a wall of cabinets and I didn’t want the fridge to stick out. This left us with counter depth fridges. Next requirement was that the fridge have french doors and a bottom freezer, no real reason for this other than we prefer this door style. Finally, we wanted a large, and well laid out fridge. I don’t know anyone who ever said “I wish my fridge wasn’t so big”. We narrowed it down to three choices: KitchenAid, Samsung, and LG. The LG and Samsung are definitely larger but we liked the layout of the KitchenAid more. The KitchenAid is 22 cubic feet while the other two were 26. However, the KitchenAid had the ice in the bottom and didn’t have an exterior water dispenser this meant that the doors held more. The Samsung does better in the JD Power reviews and we ruled out the LG because they don’t have as strong of a service network in our area. We ended up selecting the KitchenAid, it seemed like the best choice for us, but like the wall oven, it isn’t a super exciting purchase for us. 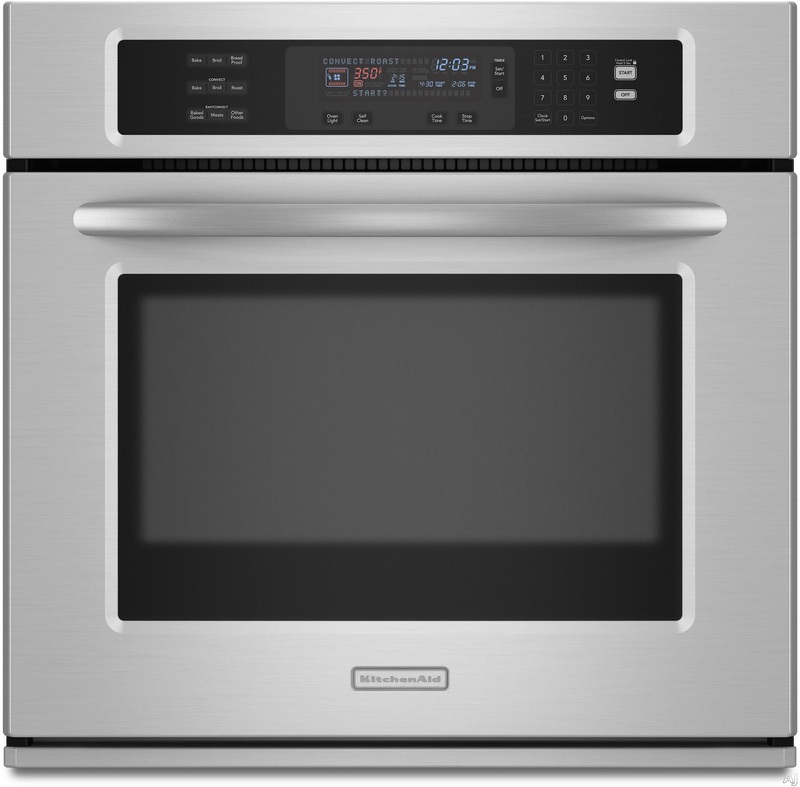 We chose a 30″ convection wall oven made by KitchenAid. We aren’t big bakers but given that this oven is smaller than the one in the Capital (30″ instead of 36″), we’ll end up using it more often when we need to bake because it’s smaller and faster to heat. We were between KitchenAid and Electrolux, we ended up going with KitchenAid because we got a better price. We liked both oven’s control panels but in the end, we didn’t spend a lot of time on the oven. KitchenAid cooking products do very well in the JD Power reviews. It’s hard for me to get excited about an electric wall oven, at the end of the day, it’s a box that heats. So what if it has a dehydrate feature or a temperature probe? I don’t know that I’ll ever use those. We chose the KEBS107SS, at the end of the day, it’s a box that heats. We planned for two microwaves in our remodel. We usually get questions about this, but we have two now and love it. Most of the time we use microwaves it’s to heat leftovers. Two microwaves means we can heat two plates of leftovers at once. This means we eat together and both eat hot food. Frankly, I don’t know why more people don’t have two. While we wanted two, I absolutely didn’t want a built in microwave. As far as I can tell, all microwaves have basically the same components inside, the difference between a $700 and a $200 microwave is $500 in markup. Built-ins are expensive, and need to be repaired when they break. I’d rather throw away a broken counter top microwave than fix a built in. The repair trip will cost as much as the new counter top microwave will. For microwave, we went Panasonic. Panasonic has gotten rid of the annoying rotating plate. Rather than have the food rotate, they rotate the microwave antenna. This means this microwave is easier to clean, and I don’t have to fight with a plate that comes off of the rotator. Panasonic is very proud of their design change. Previous PostPrevious Water 101: Know how to shut off the water main.